This is a 1-night event after work event showcasing talented people who work in AR and how they create immersive interactive technology. We'll have demo stations and lightning talks featuring our friends from Helios Interactive and various other cool local developers and designers in the augmented reality space. Stay tuned: More information to be added! We are in the early stages for planning, but this event will be exciting, fun, informative and interactive. how they create immersive, interactive technology. This event is for designers and anyone who works at the intersection of design and technology. Welcome to augmented reality, where we add layers to the existing world to improve comprehension, play around with fun effects, create planning tools for interior design and it doesn't stop there! Augmented reality is growing rapidly as an everyday technology, and valued at over $150 billion dollars, according to Forbes. That said, there is endless opportunity for designers to create for this space. Join us on November 8 at AppDynamics and learn to design, prototype, and create Augmented Reality apps. Tickets are available at https://uxnight40.eventbrite.com. "The Principles of Good UX Design for Augmented Reality"
Interactions such as touch, tap, swipe, rotate, etc. What he's learned from experimenting in this space. 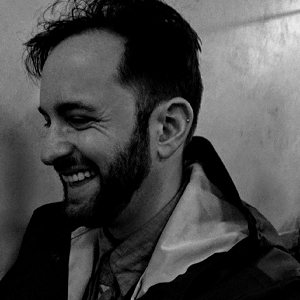 Tyler Wilson is an interaction designer for XR, based out of San Francisco, CA. He has a passion for teaching and entertaining people. Tyler loves his job at Helios Interactive, where he works on XR applications to advertise brands in new interactive ways. He’s passionate about adopting empathy through virtual experiences and giving people the ability to explore new worlds. Tyler knows humans inside and out-whether it’s reconstructing skeletons as a bioarchaeologist, or creating detailed user experience designs for XR experiences. He is also a classically trained artist and actor who really wants a pet squid. 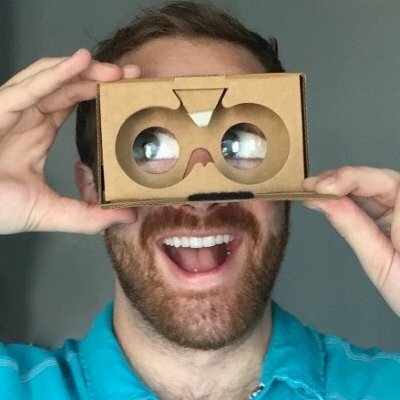 "Designing + Prototyping a Mobile AR App"
In this talk, Austin will teach you how he created "Paint Space", an augmented reality app similar to TiltBrush that maps the environment and allows us to paint in 3D spaces using our mobile phone. He will also share how he designed the user interface, failures and successes, and things to look out for when designing an AR app. Austin McCasland is a product designer and hacker working with conventional platforms (web, mobile) and emerging tech (voice, VR, AR). He has taught courses ranging from VR Design to mobile performance optimization, and believes that the key to supercharging your design practice in emerging tech is to dig into code. "New Ways to Interact with Space"
Helios Interactive is an experimental media agency that explores the intersection of advertising, branding, and XR. * They'll showcase their mixed reality collaborations with Sprint, NFL, and various other companies and walk us through a video demo reel talking about their projects and how they created them. Lightning talks and AR demos from various companies.